Consider two possible routes to generating human level artificial intelligence (AI): brain emulation (ems) versus ordinary AI (wherein I lump together all the other usual approaches to making smart code). Both approaches require that we understand something well enough to create a functional replacement for it. Ordinary AI requires this for entire brains, while ems require this only for brain cells. To make an em, we will also require brain scans at a sufficient spatial and chemical resolution, and enough cheap fast parallel computers. But the difficulty of achieving these other requirements scales with the difficulty of modeling brain cells. The simpler brain cells are, the less detail we’ll need to scan, and the smaller computers we’ll need to emulate them. So the relative difficulty of ems vs ordinary AI mainly comes down to the relative model complexity of brain cells versus brains. In contrast, we see far less excitement now about about rapid progress in brain cell modeling. Few neuroscientists publicly estimate brain emulations soon, and no one has even bothered to survey them. Many take these different levels of hype and excitement as showing that in fact brains are simpler than brain cells – we will more quickly find models and algorithms that substitute for brains than we will those that can substitute for brain cells. Now while it just isn’t possible for brains to be simpler than brain cells, it is possible for our best models that substitute for brains to be simpler than our best models that substitute for brain cells. This requires only that brains be far more complex than our best models that substitute for them, and that our best models that substitute for brain cells are not far less complex than such cells. That is, humans will soon discover a solution to the basic problem of how to construct a human-level intelligence that is far simpler than the solution evolution found, but evolution’s solution is strongly tied to its choice of very complex brain cells, cells whose complexity cannot be substantially reduced via clever modeling. While evolution searched hard for simpler cheaper variations on the first design it found that could do the job, all of its attempts to simplify brains and brain cells destroyed the overall intelligence that it sought to maintain. So maybe what the median AI researcher and his or her fans have in mind is that the intelligence of the human brain is essentially simple, while brain cells are essentially complex. This essential simplicity of intelligence view is what I’ve attributed to my ex-co-blogger Eliezer Yudkowsky in our foom debates. And it seems consistent with a view common among fast AI fans that once AI displaces humans, AIs would drop most of the distinctive features of human minds and behavior, such as language, laughter, love, art, etc., and also most features of human societies, such as families, friendship, teams, law, markets, firms, nations, conversation, etc. Such people tend to see such human things as useless wastes. In contrast, I see the term “intelligence” as mostly used to mean “mental betterness.” And I don’t see a good reason to think that intelligence is intrinsically much simpler than betterness. Human brains sure look complex, and even if big chucks of them by volume may be modeled simply, the other chunks can contain vast complexity. Humans really do a very wide range of tasks, and successful artificial systems have only done a small range of those tasks. So even if each task can be done by a relatively simple system, it may take a complex system to do them all. And most of the distinctive features of human minds and societies seem to me functional – something like them seems useful in most large advanced societies. In contrast, for the parts of the brain that we’ve been able to emulate, such as parts that process the first inputs of sight and sound, what brain cells there do for the brain really does seem pretty simple. And in most brain organs what most cells do for the body is pretty simple. So the chances look pretty good that what most brain cells do for the brain is pretty simple. So my bet is that brain cells can be modeled more simply than can entire brains. But some seem to disagree. There are smart intellectuals out there think economics is all hogwash, and who resent economists continuing on while their concerns have not been adequately addressed. Similarly, people in philosophy of religion and philosophy of mind resent cosmologists and brain scientists continuing on as if one could just model cosmology without a god, or reduce the mind to physical interactions of brain cells. But in my mind such debates have become so stuck that there is little point in waiting until they are resolved; some of us should just get on with assuming particular positions, especially positions that seem so very reasonable, even obvious, and seeing where they lead. Mr. Hanson’s book is comprehensive and not put-downable. 1. I know a few people who have expertise in neuroscience, and they have never mentioned to me that things might turn out this way (brain scans uploaded into computers to create actual beings and furthermore as the dominant form of civilization). Maybe they’re just holding back, but I don’t think so. The neuroscience profession as a whole seems to be unconvinced and for the most part not even pondering this scenario. ..
3. Robin seems to think the age of Em could come about reasonably soon. … Yet I don’t see any sign of such a radical transformation in market prices. .. There are for instance a variety of 100-year bonds, but Em scenarios do not seem to be a factor in their pricing. The only weak point I find in the argument is that it seems to me that if we were as close to emulating human brains as we would need to be for Mr. Hanson’s predictions to come true, you’d think that by now we’d already have emulated ant brains, or Venus fly traps or even tree bark. Because readers kept asking, in the book I give a concrete estimate of “within roughly a century or so.” But the book really doesn’t depend much on that estimate. What it mainly depends on is ems initiating the next huge disruption on the scale of the farming or industrial revolutions. Also, if the future is important enough to have a hundred books exploring scenarios, it can be worth having books on scenarios with only a 1% chance of happening, and taking those books seriously as real possibilities. Many neuroscientists won’t be familiar with computer modeling of brain cell activity, so they won’t have much of an idea of how much computing power is needed. But for those familiar with computer modeling, the key question is: once we understand brain cells well, what are plausible ranges for 1) the number of bits required store the current state of each inactive brain cell, and 2) how many computer processing steps (or gate operations) per second are needed to mimic an active cell’s signal processing. Once you have those numbers, you’ll need to talk to people familiar with computing cost projections to translate these computing requirements into dates when they can be met cheaply. And then you’d need to talk to economists (like me) to understand how that might influence the economy. You shouldn’t remotely expect typical neuroscientists to have good estimates there. And finally, you’ll have to talk to people who think about other potential big future disruptions to see how plausible it is that ems will be the first big upcoming disruption on the scale of the farming or industrial revolutions. So according to Jones, we can’t trust anthropologists to describe foragers they’ve met, we can’t trust economics when tech changes society, and familiar design principles fail for understanding brains and tiny chemical systems. Apparently only his field, physics, can be trusted well outside current experience. In reply, I say I’d rather rely on experts in each field, relative to his generic skepticism. Brain scientists see familiar design principles as applying to brains, even when designed by evolution, economists see economics as applying to past and distant societies with different tech, and anthropologists think they can understand cultures they visit. Jones complained on twitter that I “prefer to argue from authority rather than engage with their substance.” I replied “There can’t be much specific response to generic skepticism,” to which he replied, “Well, there’s more than 4000 words of quite technical argument on the mind uploading question in the post I reference.” He’s right that he wrote 4400 words. But let me explain why I see them more as generic skepticism than technical argument. For context, note that there are whole fields of biological engineering, wherein standard engineering principles are used to understand the engineering of biological systems. 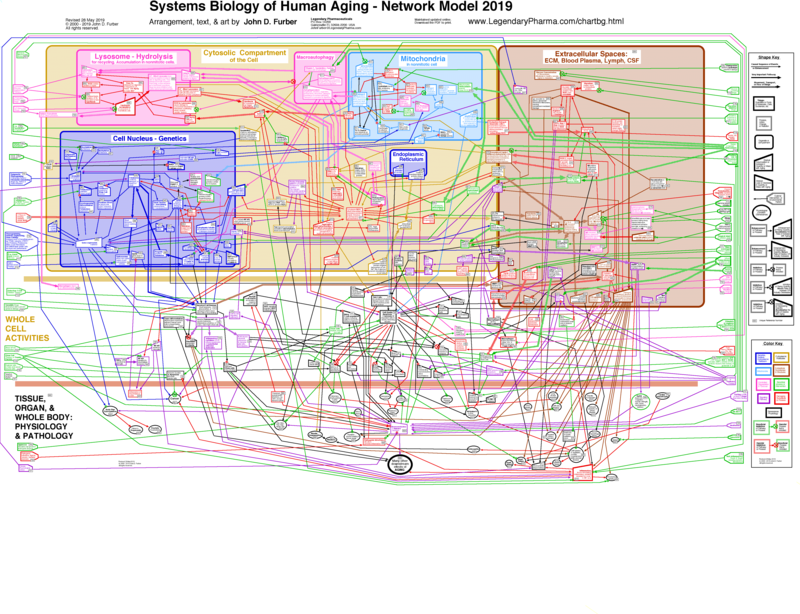 These include the design of many specific systems with organisms, such as lungs, blood, muscles, bone, and skin, and also specific subsystems within cells, and also standard behaviors, such as gait rhythms and foraging patterns. Standard design principles are also used to understand why cells are split into different modules that perform distinct functions, instead of having each cell try to contribute to all functions, and why only a few degrees of freedom for each cell matters for that cell’s contribution to its system. Such design principles can also be used to understand why systems are abstract, in the sense of as having only one main type of muscle, for creating forces used for many purposes, one main type of blood system, to move most everything around, or only one main fast signal system, for sending signals of many types. Our models of the function of many key organs have in fact often enabled us to create functional replacements for them. In addition, we already have good models of, and successful physical emulations of, key parts of the brain’s input and out, such, as input from eyes and ears, and output to arms and legs. This separation between the physical and the digital in an integrated circuit isn’t an accident or something pre-ordained – it happens because we’ve designed it to be that way. For those of us who don’t accept the idea of intelligent design in biology, that’s not true for brains. There is no clean “digital abstraction layer” in a brain – why should there be, unless someone designed it that way? But evolution does design, and its designs do respect standard design principles. Evolution has gained by using both abstraction and modularity. Organs exist. Humans may be better in some ways than evolution at searching large design spaces, but biology definitely designs. In a brain, for example, the digital is continually remodelling the physical – we see changes in connectivity and changes in synaptic strength as a consequence of the information being processed, changes, that as we see, are the manifestation of substantial physical changes, at the molecular level, in the neurons and synapses. We have programmable logic devices, such as FPGAs, which can do exactly this. Underlying all these phenomena are processes of macromolecular shape change in response to a changing local environment. .. This emphasizes that the fundamental unit of biological information processing is not the neuron or the synapse, it’s the molecule. But you could make that same sort of argument about all organs, such as bones, muscles, lungs, blood, etc., and say we also can’t understand or emulate them without measuring and modeling them them in molecular detail. Similarly for the brain input/output systems that we have already emulated. Determining the location and connectivity of individual neurons .. is necessary, but far from sufficient condition for specifying the informational state of the brain. .. The molecular basis of biological computation means that it isn’t deterministic, it’s stochastic, it’s random. Randomness is quite easy to emulate, and most who see ems as possible expect to need brain scans with substantial chemical, in addition to spatial, resolution. And that’s it, that is Jones’ “technical” critique. Since biological systems are made by evolution human design principles don’t apply, and since they are made of molecules one can’t emulate them without measuring and modeling at the molecular level. Never mind that we have actually seen design principles apply, and emulated while ignoring molecules. That’s what I call “generic skepticism”. To manage its intended input-output relation, a signal processor simply must be designed to minimize the coupling between its designed input, output, and internal channels, and all of its other “extra” physical degrees of freedom. .. To emulate a biological signal processor, one need only identify its key internal signal dimensions and their internal mappings – how input signals are mapped to output signals for each part of the system. These key dimensions are typically a tiny fraction of its physical degrees of freedom. Reproducing such dimensions and mappings with sufficient accuracy will reproduce the function of the system. This is proven daily by the 200,000 people with artificial ears, and will be proven soon when artificial eyes are fielded. So our largest organisms have a per-mass metabolism one hundred thousand times lower than our smallest organisms. The new finding is that local metabolism also goes as local biomass density to the power of roughly 3/4, over at least three orders of magnitude. This implies that life in dense areas like jungles is just slower and lazier on average than is life in sparse areas like deserts. And this implies that the ratio of predator to prey biomass is smaller in jungles compared to deserts. When I researched how to cool large em cities I found that our best cooling techs scale quite nicely, and so very big cities need only pay a small premium for cooling compared to small cities. However, I’d been puzzled about why biological organisms seem to pay much higher premiums to be large. This new paper inspired me to dig into the issue. What I found is that human engineers have figured ways to scale large fluid distribution systems that biology has just never figured out. For example, the hearts that pump blood through animals are periodic pumps, and such pumps have the problem that the pulses they send through the blood stream can reflect back from joints where blood vessels split into smaller vessels. There are ways to design joints to eliminate this, but those solutions create a total volume of blood vessels that doesn’t scale well. Another problem is that blood vessels taking blood to and from the heart are often near enough to each other to leak heat, which can also create a bad scaling problem. The net result is that big organisms on Earth are just noticeably sluggish compared to small ones. But big organisms don’t have to be sluggish, that is just an accident of the engineering failures of Earth biology. If there is a planet out there where biology has figured out how to efficiently scale its blood vessels, such as by using continuous pumps, the organisms on that planet will have fewer barriers to growing large and active. Efficiently designed large animals on Earth could easily have metabolisms that are thousands of times faster than in existing animals. So, if you don’t already have enough reasons to be scared of alien monsters, consider that they might have far faster metabolisms, and also be very large. This seems yet another reason to think that biology will soon be over. Human culture is inventing so many powerful advances that biology never found, innovations that are far easier to integrate into the human economy than into biological designs. Descendants that integrate well into the human economy will just outcompete biology. I also spend a little time thinking about how one might explain the dependence of metabolism on biomass density. I found I could explain it by assuming that the more biomass there is in some area, the less energy each biomass gets from the sun. Specifically, I assume that the energy collected from the sun by the biomass in some area has a power law dependence on the biomass in that area. If biomass were very efficiently arranged into thin solar collectors then that power would be one. But since we expect some biomass to block the view of other biomass, a problem that gets worse with more biomass, the power is plausibly less than one. Let’s call a this power that relates biomass density B to energy collected per area E. As in E = cBa. There are two plausible scenarios for converting energy into new biomass. When the main resource need to make new biomass via metabolism is just energy to create molecules that embody more energy in their arrangement, then M = cBa-1, where M is the rate of production of new biomass relative to old biomass. When new biomass doesn’t need much energy, but it does need thermodynamically reversible machinery to rearrange molecules, then M = cB(a-1)/2. These two scenarios reproduce the observed 3/4 power scaling law when a = 3/4 and 1/2 respectively. When making new biomass requires both simple energy and reversible machinery, the required power a is somewhere between 1/2 and 3/4. Added 14Sep: On reflection and further study, it seems that biologists just do not have a good theory for the observed 3/4 power. In addition, the power deviates substantially from 3/4 within smaller datasets. It seems we should save (and expand) the whales because of their huge positive externality on other fish. If humans manage to increase the fraction of solar energy used by life on Earth, it will be primarily because of trade and transport. Transport gives us the ability to move lots of nutrients, and trade gives us the incentives to move them. Our best theories vary in generality. Some theories are very general, but most are more context specific. Putting all of our best theories together usually doesn’t let us make exact predictions on most variables of interest. We often express this fact formally in our models via “noise,” which represents other factors that we can’t yet predict. For each of our theories there was a point in time when we didn’t have it yet. Thus we expect to continue to learn more theories, which will let us make more precise predictions. And so it might seem like we can’t constrain our eventual power of prediction; maybe we will have powerful enough theories to predict everything exactly. Thermodynamics – We can predict some gross features of future physical states, but the entropy of a system sets a very high (negentropy) cost to learn precise info about the state of that system. If thermodynamics is right, there will never be a general theory to let one predict future states more cheaply than this. Finance – Finance theory has identified many relevant parameters to predict the overall distribution of future assets returns. However, finance theory strongly suggests that it is usually very hard to predict details of the specific future returns of specific assets. The ability to do so would be worth such a huge amount that there just can’t be many who often have such an ability. The cost to gain such an ability must usually be more than the gains from trading it. Cryptography – A well devised code looks random to an untrained eye. As there are a great many possible codes, and a great many ways to find weaknesses in them, it doesn’t seem like there could be any general way to break all codes. Instead code breaking is a matter of knowing lots of specific things about codes and ways they might be broken. People use codes when they expect the cost of breaking them to be prohibitive, and such expectations are usually right. Innovation – Economic theory can predict many features of economies, and of how economies change and grow. And innovation contributes greatly to growth. But economists also strongly expect that the details of particular future innovations cannot be predicted except at a prohibitive cost. Since knowing of innovations ahead of time can often be used for great private profit, and would speed up the introduction of those innovations, it seems that no cheap-to-apply simple general theories can exist which predict the details of most innovations well ahead of time. Ecosystems – We understand some ways in which parameters of ecosystems correlate with their environments. Most of these make sense in terms of general theories of natural selection and genetics. However, most ecologists strongly suspect that the vast majority of the details of particular ecosystems and the species that inhabit them are not easily predictable by simple general theories. Evolution says that many details will be well matched to other details, but to predict them you must know much about the other details to which they match. Intelligence – General theories tell us what intelligence means, and how it can generalize across tasks and contexts. But most everything we’ve learned about intelligence suggests that the key to smarts is having many not-fully-general tools. Human brains are smart mainly by containing many powerful not-fully-general modules, and using many modules to do each task. These modules would not work well in all possible universes, but they often do in ours. Ordinary software also gets smart by containing many powerful modules. While the architecture that organizes those modules can make some difference, that difference is mostly small compared to having more better modules. In a world of competing software firms, most ways to improve modules or find new ones cost more than the profits they’d induce. If most value in intelligence comes from the accumulation of many expensive parts, there may well be no powerful general theories to be discovered to revolutionize future AI, and give an overwhelming advantage to the first project to discover them. Which is the main reason that I’m skeptical about AI foom, the scenario where an initially small project quickly grows to take over the world. Added 7p: Peter McCluskey has thoughtful commentary here.